Congratulations on your mega 21st birthday. That is an eternity on the interweb and it’s a testimony to your work ethic, drive and tenacity. As a fellow internet veteran, you took me back to a land that few people nowadays now about, that of the 90’s. That Yahoo home page brings back memories! I’ve only gotten to know Azam a few months ago since hiring you as our marketing agency, but from what I’ve seen of how your team have managed our account, you are a terrific bunch and work with a passion and at a pace I’ve seldom seen. You deserve all your success. Here’s to another 21 years! 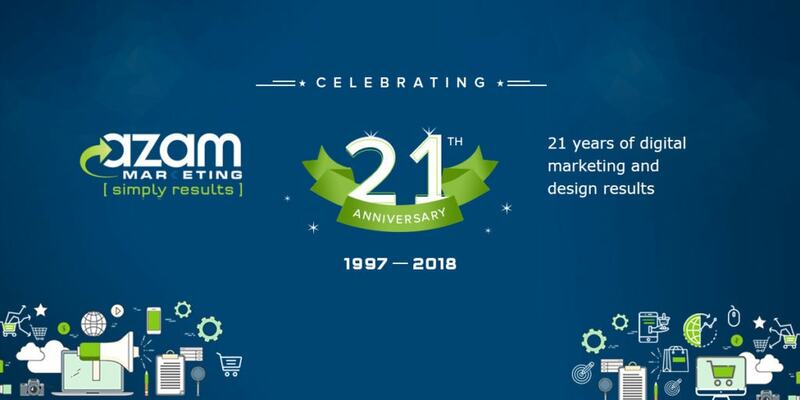 21 years is a long time for any business and, as you say, an eternity for an internet business. Congrats! !